Anyone who has ridden at the same facility for a number of years knows the strangeness of looking back at old photos and seeing how much it’s changed. You might be able to measure time by arena paint colors — in Alfred’s case, the walls went from cream-colored to forest green, to their current purple and yellow for school colors. It’s interesting to juxtapose the ways I’ve grown up there and the progress I’ve made with the way the facility has evolved around me. Pictures from my first year of high school show my legs out in front of me, elbows flapping in the breeze, wearing a too-big show shirt and old paddock boots. By the time the walls were painted purple, the pictures of me riding against that background look like an entirely different rider, an adult to the child who rode in that same arena seven years before. 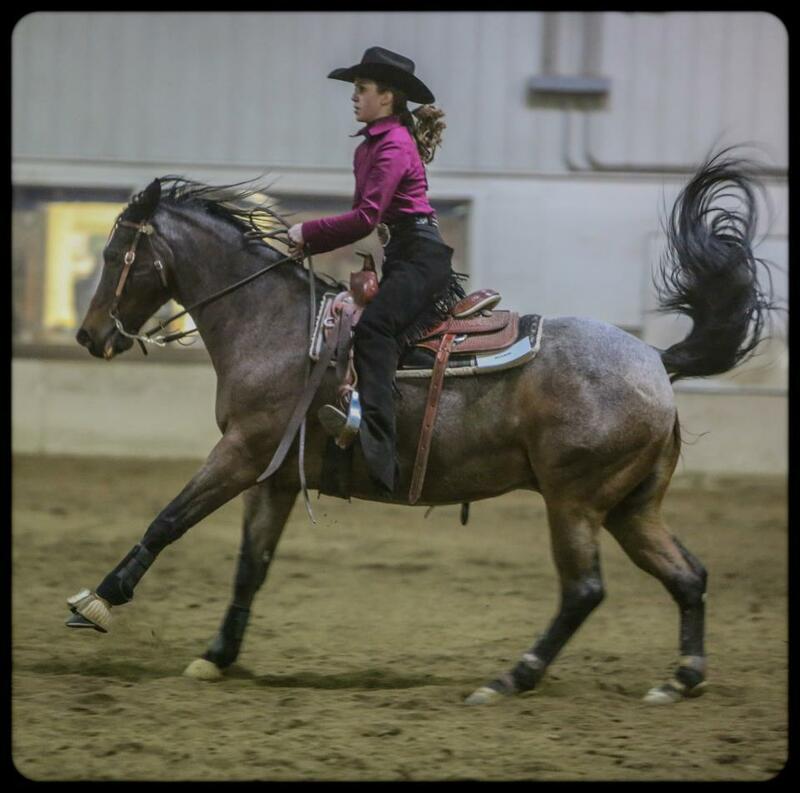 Although less obvious, the difference in my demeanor is also visible in photographs — the girl who plodded stiffly through her first reining patterns grew into her chaps and gained some show ring presence in the meantime, lifted her chin and put on her “game face” to show. 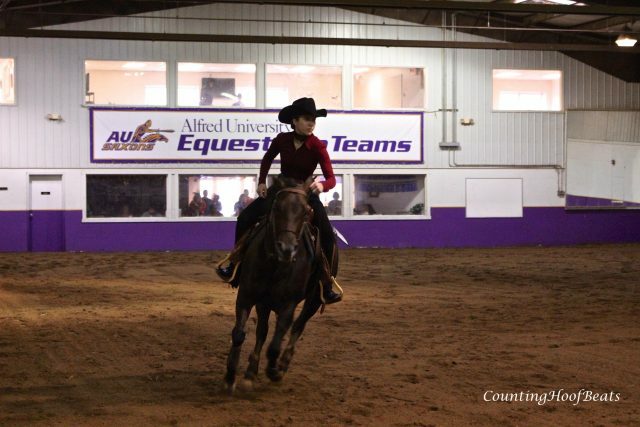 Alfred’s Bromeley-Daggett Equestrian Center has seen different coaches, directors, and horses during the time I’ve ridden there, but besides minor updates the facility has remained largely unchanged. 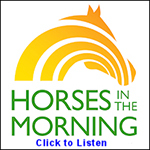 We begin to outgrow it as team sizes and interest in the program increase. Even small upgrades, like televisions in the viewing room and the removal of the old vending machine, seem momentous, like coming home to find that your parents have rearranged all the furniture while you’re gone. 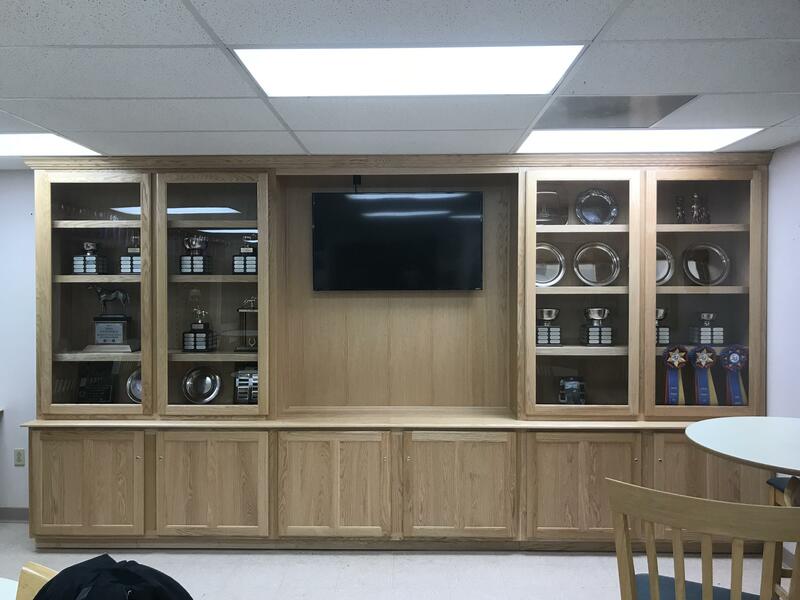 Our newest and most impressive addition is a built-in custom trophy cabinet that my dad (owner of Ruffner’s Woodworking) designed, built, and installed. It sits in the viewing room of the barn, covering the right wall from floor to ceiling. I spent the evening at the barn with my roommate cleaning all of Alfred’s trophies and moving them into their new casing, dusting off the names of previous years’ champions before settling them into the cabinet. Some of the trophies are older and dinged up, marked by years of names engraved on their bases, relics of a time when the barn would have been almost unrecognizable to current students. Having seen the care and skill my dad puts into everything he builds makes me proud to walk into the barn every day, able to see both the physical product of his labor and to use his hard work as inspiration for my own efforts in the barn classroom and while I’m riding. The cabinet will be a cherished feature of the barn, as memorable to new riders as the set of new banners or repainted arena walls were to me — it’s a milestone of progress for us, motivation to do well in hopes of one day seeing one’s name behind the polished glass doors. The presence of such an impressive piece of woodworking makes my teammates and I excited to fill it up with trophies and awards, to work harder to be deserving of our beautiful facility and the opportunities it offers.